Smartwatches are a new-old thing. About 6 years ago we saw a rush of "watch phones" such as the LG GD910 which included a SIM card and some basic feature phone functionality, but these never took off (despite which, they are very collectable devices today). The whole concept seemed to be quickly forgotten. But the concept of wearables came back in 2014 with smartwatches such as the LG G Watch and many other devices, which generated a lot of media buzz but it didn't really translate into sales. But early-generation products are sometimes a bit rough around the edges, and the new LG Watch Urbane seeks to address some of these issues. It's certainly an elegant device, as was last year's LG G Watch R, but this has the latest version of the Android Wear OS and is the first LG smartwatch to support WiFi, meaning that it won't have to be slaved to a phone all the time. So it this a Futureretro device? 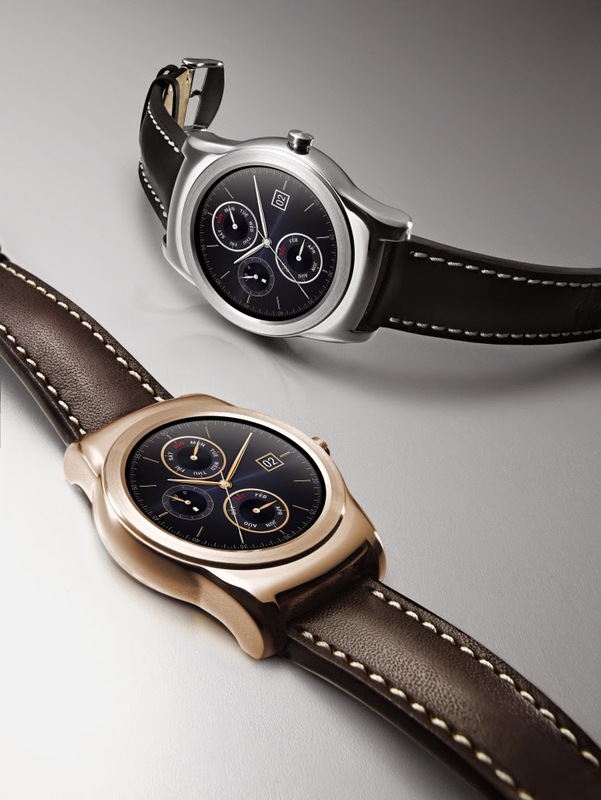 Will people look back at the LG Watch Urbane in (say) 2020 and say "that was a design classic"? Perhaps as with the watch phones from half a decade ago, this is the point at which smartwatches with either sink or swim. We give it a Futureretro score of 5/10. The LG Watch Urbane might either mark the point at which the smartwatch market became really mature, or it might mark the point at which consumer indifference kills off the concept. Remember phones with 3D screens? They were launched with great hype, but they didn't sell. Smartwatches may still go the way of 3D phones. A quick tour round the tech specs reveals a 1.3" 320 x 320 pixel plastic OLED display, a 1.2 GHz CPU, 512MB of RAM, 4GB of storate, a bunch of sensors including a compass, barometer and heart-rate sensor plus the whole package is dust and water resistant to IP67 standards. The Watch Urbane is set to roll out to Korea this week, with major markets following this month, with the device available through the Google Play store at a price of around €400 to €420.